Very often short story collections are just that – collections of stories that may or may not have a few themes in common. Most of the time, the themes are different, while the voice stays the same. 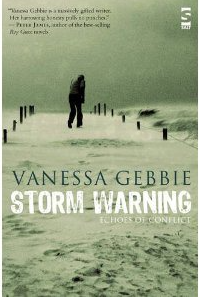 Not so in Vanessa Gebbie’s stunning collection Storm Warning – Echoes of Conflict. The themes —war and conflict— are the same in every story, but the voices, points of view, the structure, the range of these stories is as diverse as can be. That’s why this collection is one of those rare books, in which the sum is greater than its parts. 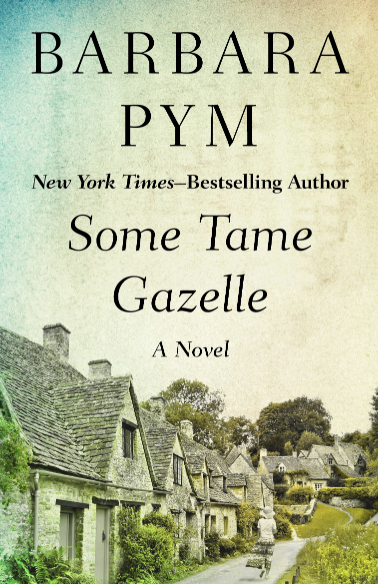 Each story on its own is a gem, but all the stories together, are like a chorus of voices lamenting, accusing, denouncing, and exploring conflict through the ages and the whole world. The result is as chilling as it is powerful and enlightening. I don’t think I’ve ever come across anything similar in book form and the only comparable movie, War Requiem, uses a similar technique only at the very end, during which we see horrific original footage taken from many different wars, covering decades, and dozens of countries. We’ve often discussed the question of how to write about war in the Literature and War Readalong and I’ve said it before – if I put away a book and am left with a feeling of I-wish-I’d-been-there, then the book is a failure in terms of its anti-war message. I don’t think one should write about war and give readers a similar, pleasant frisson, they get when they read crime. I can assure you, you won’t have a reaction like this while reading Storm Warning. Without being too graphic, Vanessa Gebbie’s message is clear – there’s no beauty in war. There’s no end to war either. Even when a conflict is finished, it still rages on in the minds of those who suffered through it. Whether they were soldiers or civilians. War destroys bodies and souls. And—maybe one of the most important messages— war is universal. Including stories set in times as remote as the 16th century, choosing locations as diverse as South Africa, the UK, and Japan, conflicts like WWI, WWII, the Falklands war, Iraq, Vietnam, and many more, illustrates this message powerfully. Choosing from so many different conflicts also avoids falling into the trap of rating. I always find it appalling when people rate conflicts, saying this one was worse than that one. Maybe the methods are more savage in some conflicts, but they are all equally horrific. What is really amazing in this collection is that so many of the stories get deeper meaning because they are juxtaposed with other stories. For example, there’s the story The Ale Heretics set in the 16th Century, in which a condemned heretic, awaits being burned. Burning people alive was such a savage and abominable thing to do, but just when we start to think “Thank God, that’s long gone” – we read a story about necklacing, a form of torture and execution, practiced in contemporary South Africa (possibly in other regions too), in which the victims are also burned alive. And, here too, it’s said to be in the name of the law. If I had only read the first story, it wouldn’t have been as powerful as in combination with the second. Vanessa Gebbie’s writing is very precise, raw, expressive. As I said before, each story has a distinct voice. There are men and women talking to a dead relative, others seem to try to explain what happened to them, others accuse, many denounce. Yet, as precise as the writing is, often there’s an element of mystery as to what conflict we are reading about. While it’s mostly clear, what conflict is described, they are rarely named. Interestingly, this underlines the similarity and universality, but it also makes differences clear. When a girl talks to her dead sister Golda, mentions the Kristallnacht, we know, it’s a Holocaust story. When gas gangrene is mentioned, we know it is about WWI. Many of you might wonder, whether the stories are not too graphic, whether the book is depressing. There’s a balance between very dark and dark stories. There’s a touch of humour here and there, even if it’s gallows’ humour, and there’s the one or the other story that’s almost uplifting like my own personal favourite Large Capacity, Severe Abuse. In this story, a Vietnam veteran lives in the basement of an apartment house for retired army officers. He’s in charge of washing their laundry which gives him an opportunity for revenge. This story illustrates also the invisibility of many veterans. They are decorated, they return, they suffer, but society doesn’t care. Some of the veterans in this collection, end up homeless. Too sum this up— the collection is not easy to read, as it’s quite explicit in showing that war mutilates bodies and souls. Another favourite story was The Return of the Baker, Edwin Tregear. It’s a story that does not only illustrate the difficulties of the homecoming, but the absurdity of things that happened during the war. In this case WWI and its practice of firing soldiers for so-called cowardice. Some of the stories describe a narrow escape like in The Salt Box, in which a dissident poet finds an unexpected ruse to destroy his poems when his house is searched. The narrators and characters in these stories are of different gender and age. Stories that have child narrators are often particularly harrowing. There’s the one called The Wig Maker, in which a child witnesses the execution of the mother, and another one, The Strong Mind of Musa M’bele, in which the kid knows his father will be necklaced. Another kid, in Cello Strings and Screeching Metal, witnesses someone being shot while climbing the Berlin Wall. Quite a few of the stories are more like snapshots; they are very brief, only a page or two, but there are some longer ones as well. I must say, I’m impressed. The range of these stories is amazing. Getting voice right and distinct, is a difficult thing to do and to get it as right and as distinct in so many stories is absolutely stunning. This is certainly one of the most amazing and thought-provoking anti-war books I’ve ever read. Should you be interested, one of the stories – The Wig Maker – is available online. Just a warning – it’s possibly the most explicit of the collection. Vanessa Gebbie is joining our discussion, so, please, don’t hesitate to ask questions. Storm Warning is the first book in the Literature and War Readalong 2016. The next book is the French WWI novel 1914 – 14 by Jean Echenoz. Discussion starts on Thursday 31 March, 2016. Further information on the Literature and War Readalong 2016, including the book blurbs can be found here. It does make you wonder. That’s another thing I took form reading this – it seems as if it will never end. Thank you, Lizzysiddal – for your generous comments. I am glad the book is thought-provoking, and I quite agree – it certainly isn’t holiday reading! This does sound extraordinary. I agree that if one “wishes they were there” then a story is not an accurate representation of war. In fact, in a way, I think that such tales do a disservice to humanity. Even as when I was young and read some adventure stories set during wartime, I had the impression that something was very wrong with the story. It is wrong, isn’t it? I just don’t like it when war is used purely as romantic backdrop or even glorified. Of course, there are acts of heroism but that should never makes us forget that it’s still an atrocity. This sounds good. I am so bad at planned reading, but I always want to read all the books in your read-alongs… One day! It is outstanding but not an easy book. Just as side notes, I particularly loved the Confessions to a Drowned Dog and The Wig Maker. I had a strange sense of disconnection and “where am I?” kind of experience during both but the details were so striking that I doubt I will ever forget them. Those stories literally felt like a punch in the gut. And as I’m writing this, I’m reflecting on the fact that I find myself rereading passages in most of these stories in an attempt to orient myself. Likely, this is caused by the brevity of the stories themselves and my tendency to read through several in one sitting (in addition to my limited knowledge of war history). However, I suspect that this sense of disorientation actually furthers and enhances the reading of war stories. Without having had any direct experience with war myself, I suspect that being thrown into such conflict would have a disorienting effect on a person–to say nothing of the strange disorientation felt upon returning to a time and place of peace. Whether or not this disorienting effect for readers was planned by Gebbie, I think it’s highly effective in furthering the book’s overall theme. I’m so glad you like it as well. You’re spot on about the feeling of disoerientation. The wars are often not named. Some are very foreign to us, so it’s a bit confusing but we still understand. I’m pretty sure it was a conscious thing on her part. Her stories are, like you said, written with so much authority, I don’t think anything is just a coincidence. Both stories you mention are great but I found that they were getting better and better towards the end. It takes a while until you feel that it’s like a tapestry, a chorus. Hi Charlene – great question – I certainly do have many writers I admire. W G Sebald’s ‘Austerlitz’ was very formative, as are the works of Gabriel Garcia Marquez, Dylan Thomas, among others, not necessarily for theme, but for the rhythms, the sounds. I have not studied their work academically, but I guess every writer will say their best teachers were not writing tutors, but the works of other, better writers! Venessa–Thank you for listing the writers you admire. I have not read Sebald, but will certainly do so now. As a writer, I’ve always been interested in exploring characters who are on the fringes. I wonder how you approach a story, the narrative–how you get to that authentic voice which appears over and over in these stories. Are you tapping into an interior monologue of these characters, almost like the immersion of an actor into a role? It’s quite admirable. I often find when I approach POV from 3rd person, I can’t quite gain access to that interior life. Do you intuitively choice your POV or does it come naturally? Thank you for being part of this! Hi Charlene – my pleasure – there are so many writers I admire – ask me tomorrow and it will be a different list to today. I love the US writer Alice Elliot Dark too (check out her wonderful collection In the Gloaming – the title story was hugely formative for me.) But to get back to your points – I do find that working in first person allows me to get much much closer to the character. It works in close third too, but if you are happy to submit to the narrower viewpoint that first affords, I do find I get a much deeper experience. Although that is said looking back at the process. I almost never plan anything when I write, especially short fiction, or it comes out ‘sticky’. I like the surprise element, even if it is risky sometimes. It allows characters to be very different from their writers – and to say things that I would never say in a hundred years! So, yes, I guess my process much be like that of an actor sinking into a new role. I am also very very keen on limiting what research I have done to only those details that serve the story. I’ve read so many pieces which are top-heavy on research – and when that happens, I see the writer’s hand waving, not the character’s. Very fascinating. Thanks, Vanessa, for answering and Charlene for asking. Thanks so much! Like your point on too much research. A character knows what it knows. Indeed. I think the best thing a writer can do is forget they’ve ‘invented’ anyone, and become them. Love this advice! Will carry it forward. Thanks. To say this collection sounds powerful feels like an understatement, but the strength of feeling really comes across in your commentary on this one. I really like what you say about the whole effect being more than the sum of its individual parts – that’s a sign of a truly great collection of stories, I think. Powerful is an underatement. I couldn’t agree more – the fact that it works as a whole and as individual stories isn’t an easy thin g to achieve. I tend to read collections ever so slowly, but I blew through Storm Warnings in two sittings. Every story has parts highlighted. I need to go back and study how Vanessa builds such tension and mystery. I especially like how she blurs the past with the present. It is never injected like backstory. The past travels along with the present simultaneously. It’s been some time since I read Pat Barker, and I always admired how she, too, wrote about war trauma. As a writer, I wonder if Vanessa has any writers she particularly admires and/or who she studied. I read collections rather slowly too, but not this one. That’s a fantastic observation. I didn’t even notice that the past and present are blurred like that. It’s a collection to re-read and one to learn from. I hope she’ll join the discussion soone or later. I’d be interested to hear what authors inspire her. The Regenration Trilogy is one of my favourite books. Thank you so much for this suggestion and for the insight into your writing process. I’ve come across this author’s name somewhere else. I checked on Amazon and it looks as though there’s a new collection coming out this month called Words from a Glass Bubble. Yes, I think she’ll have a new one out. I’d be curious to see whether it’s the same theme. Now that you mention it. I’ve seen the title before. I know something new was coming out but didn’t know the title. Thanks for telling us. I do think it’s true that war carries on even after it’s over. I lived in Richmond, Virginia (the capital of the Confederacy) for a short time and was stunned to learn that people still harbored a grudge against “those damn Yankees.” One of our neighbors had a large portrait of Robert E. Lee in his living room. When they learned I was moving back North, they expressed dismay that I’d want to live among “those savages.” They weren’t kidding. You know I’m not fan of short stories, but this collection sounds like a must-read. Unbelievable. The same goes for many countries that were at war with other countries. Some bad feelings just linger. But the trauma and the pain is passed on as well. It’s an intense collection but I know you value great writing, so you’d like it. Well, “like” might be the wrong word in the context … You know what I mean. Caroline, thank you for this passionate post. This sounds intense, and important. I have always been keen about reading books on war, and conflicts. I look forward to reading most posts of yours. Many thanks. Thank you Deepika. It was very intense. It also showd me that I wasn’t aware of some of the conflicts in other countries. Caroline, thank you so much for pointing me to Storm Warning, and Vanessa Gebbie. Your review is excellent, and makes so many great points – particularly that Storm Warning so aptly illustrates that not only is war universal, but so are the aftereffects. I felt almost stunned to read some of the stories in Storm Warning – as you say, these are not easy stories. But I feel this is really a life-changing collection. Through the varying times and settings and narrators, it so poignantly paints the picture of the hell of war, and how the hell continues in the minds of those who lived through it in a way that no straight history book could ever capture. I was amazed by the breadth of the different narrative voices, and the authority with which Gebbie inhabits each, Thank you again for leading me to this collection, and for this discussion of it. Thank you for the nice words and for reading, Jennifer. I’m so glad you liked it as well. I knew you would. As a writer, one can only admire what she achieved here. I think all of the stories work alone but together they urnto something even more astonishing. Stories about war need to be personal. Hearing that ten thousands died is shocking but reading one perosn’s story is more affecting. Thank you Jennifer – I am so grateful! Thank you Vanessa, and Caroline. Caroline, I really appreciate your comment “Stories about war need to be personal” – I think you are so right here. Thanks for prticipating, Jennifer. I always felt we need perosnal stories to connect, especially when we haven’t had the experience. I’ve read four stories so far. What a bravura performance! Thanks for introducing me to Vanessa Gebbie. I will read your review after I’ve finished all the stories. Take your time, Ravi. Thanks for reading and joining. It is a bravura performance. Wow – thank you Ravi! I ran out of time, Caroline, but I will finish in the next week. I can only echo what others have said already: it is a powerful book. I frankly got much more out of this book than I expected. And I don’t think I would have found this book without you, so thank you. I’m happy to hear that. I too, got more than I expected, although my expectations were pretty high. I’m looking forward to your review. Thank you TJ, you are very kind. I was delighted when you choose Storm Warning as one of this year’s books. I read it when it first came out and then got to know the author. These are compelling stories and I thnk everyone should read them. I’m glad I chose it. Letters from Kilburn is almost funny at first but then . . . I thought exactly the same. “It was three months from Basra to Kilburn. It is two days from Kilburn to Basra.” – Such a stunning line. It’s funny – even though I wrote Letters from Kilburn, and know exactly what’s coming – I find it impossible to read out loud (which I do quite a lot, it lends itself to that) without welling up. Hi Caroline D – I share your deep interest in conflict, as you know! It is extraordinary to think this book was published six years back now – seems like yesterday. I am so delighted, and very moved, that Storm Warning is having such an interesting airing in this marvellous group read. Thank you, Caroline, for including it. I have just got back from a trip to the US (Arizona – I have a sister there, and we went on a road trip – Grand Canyon of course, but also birdwatching close to the Mexican border) , hence being late to the party – but would be very happy to try to answer any questions participants might have. As a starter – my interest in the echoes of conflict has its roots, I am sure, in my upbringing – my lovely late father – who fought and was decorated in WWII. He was not a career soldier – just an ordinary man who liked to play a bit of cricket, and rugby at weekends. Reticent to talk about it when I was young, he needed to talk as he got older. He never quite came to terms with the changes he and others were forced to undergo, in order to survive. I’m really glad that you joined the discussion and answreed questions so openly. The fact that you started to write about war because your father went to war, is just another example of the many ways war is “passed on”. I must also add a huge thank you to you, Caroline, for your hugely generous review. I’m still a little bowled over. My pleasure. It is a stunning collection and I’m really glad that you joined the discussion. Thank you for writing this poignant and deeply moving collection, Vanessa, and thank you so very much for pointing us to it, Caroline, and for sharing your astute and compelling review with us. There are many elements of this collection that amaze me, but if I had to pick one or two, I’d have to say that I found the diversity and depth of character astounding. Whether told in first or third person POV, in every story I felt as if I was right there alongside the main character, if not actually inside them. In this way, Vanessa makes every reader bear witness to our atrocities, leaving blood on our hands, too. As Caroline commented, this approach to showing us war/conflict and its human costs is far more affecting than giving us body counts. It may be too late for a question, but I wonder if Vanessa ever felt burdened writing her characters’ stories or frightened by inhabiting them. Thanks again to both Vanessa and Caroline for this difficult and rewarding journey. Hello janelmanstout – thank you for your kind words – and for your question. Apologies for the delay in replying – I am battling jet lag, having been to Arizona (gorgeous! ), and juggling work commitments, hoping not to drop too many. As to the question of whether I feel burdened when writing a character’s experiences – the answer is yes. Sometimes, it is very difficult to do. It takes it out of me emotionally, as I am literally sharing an experience as it is retold, and am often shocked, upset, disturbed. All those emotions must get passed on to the reader, if they are reading closely. But I do believe that this helps to deepen the reading experience. At least, it makes the story more emotionally strong. I guess my interest in exploring the issues of conflict and its aftermath has to lead me to some difficult places, and that’s fine. There is so much writing that avoids the ‘difficult’ – instead relying on the impact of shock and horror, “blood and guts”, without emotional truth. I do make an effort not to fall into that trap. If the reader engages with the work in the way I really hope, then they are indeed, as you say, ‘bearing witness’ with me. That is all I can ask for. Thanks are due to you for sticking with a difficult experience in that way. Vanessa, thanks so much for your very generous response to my question. I am drawn to stories that are emotionally strong and am glad that writers like you are willing to reach deep to write them. My pleasure. Being able to engage with a reader like you, and all here, makes the job I do worthwhile. All best. Vanessa, thank you so much for joining this discussion. I’m grateful for the chance to ask you questions directly about such a poignant work. Your stories vary so widely – I was wondering if you could speak to a bit about the research you do (or don’t do) for your writing? Also, you inhabit your characters’ voices with such authority! I know you speak about the use of first person (or close third) above as a means of getting into the voice, but I was wondering if you could speak more to this? How do you “get into character” so to speak? Thank you again for your time, and for Caroline for putting this together! Hello Jennifer – it is my pleasure. It is always a privilege for a writer to know people are engaging with their work, positively or not. Life is not infinite, and it seems the choice of reading material is boundless – so much to choose! It is wonderful when readers give up some hours of their life to read my words, and I am enormously grateful. So – as to research. Would it sound silly to you if I say I research not before, but after writing the first draft of the story? Some conflict scenarios are better known to me than others, the Western Front of WWI for example, which I visit at least once each year, I am fairly familiar with, although the actions are so complex it would take years to be fully au fait. Others I know a little about, and a few I know hardly anything, even nothing about. But you see the individual scenarios of conflict interest me less than the people, those caught up, whenever, wherever it was. What really interests me primarily are the characters battling with their demons – and in that regard, it doesn’t matter what/where the conflict was, really – unless those demons are mainly specific to an action (mustard gas, trenches, WW1, for example). There arises a problem, then. One mention of those and the story is placed instantly in the reader’s mind (so long as they know a little history) – through things that have become cliche, through time. On the other hand, judicious use of those cliches takes away the need to be too clunky and obvious in placing a piece, when it may not need to be placed at all. A little dust and sand, the sun – and I’m in a hot place – and so is the reader. It doesn’t need a name/map reference, unless that map reference is absolutely necessary to the story. Do you see what I mean? Sometimes, there is a real reason, a political slant to what I do – Confession to a Drowned Dog, for example, with that rambly, drunk voice – is ‘real’ because there is a lack of care for veterans here in the UK – many of them end up homeless, drunks, or suicides. But look what they went through on our behalf. Bad and good. That story is as much a comment on military post-traumatic stress as it is on the lengths men will go to in extremis. I knew the piece ‘took place’ on the Falklands. I know the falklands are islands, the terrain something akin to the west country in the UK – thats where many trained. So it was simple to write a draft with no research. I then needed to know the regiments that were there, the names of actions where the events might believably have taken place. Simple. As for ‘getting into character’ – it is always the internal battle that comes first. Once I have the problem/issue they are facing, I face it for them, with them. I sit down and start writing as them… after a few minutes, I’m inside it and them. I don’t use vocab they wouldn’t use and so on – I am not ‘me’ for the duration, but them. It was a wise person who said that the muse does not visit if no one is sitting at their desk, ready to type/ listen. As writers, we have to battle with lack of self-belief all the time – there is constantly an imp on my shoulder telling me what I’m doing is rubbish, no good…and any way of defeating that imp is invaluable. If I’m working on my laptop I turn the font to white and type fast – no thinking, no planning, no checking spelling. Its great for freeing up. Or I use single-word prompts to unlock ideas. Sorry to ramble. Hope that has answered your questions! Vanessa, thank you so much for this detailed and helpful reply. I’m grateful for your thoughts and time. It’s so interesting to hear that you draft first and research later. That makes sense to me – it sounds like you capture the emotional center and inner arc of the story, and then you find the outer details. The main story is the characters battling their demons. That is so apt, how you put that, as are all of your points. “The internal battle comes first,” and how you face the problem for them, and with them. This is really great advice, no matter what the story. And I love how you type in white font – I am going to try that! Thank you very much for your time and generosity in answering our questions – very much appreciated! Hey, I actually read this (am trying hard with my reading this year….) and am posting about it tonight. I liked it but found it very heavy duty. Despite the relative slimness of the book, it still was not always easy going–very dark at times. I wish I had spread out the stories more rather than reading them in one more or less big gulp as it was too overwhelming. I was happy to turn that last page, but I do agree the breadth of her subject matter and how she handled perspectives was really very impressive. I also really liked the first story, as well my own favorite is Correspondence which I thought managed to convey so much between the lines of those letters back and forth. I wonder if she had to do research–how she managed to get those very different voices and circumstances so detailed according to conflict. Each felt like a particular time and place unique to its own place in history. Nice choice–as I am not sure I would have come across this book otherwise! Hi Danielle – I do appreciate you battling on with the collection. I know it can be heavy going – and short stories never respond well to being read one after the other with no break. Poor you! And thank you for your kind words despite everything. I am so glad you enjoyed the story in letters, Letters from Kilburn – it is one of my own favourites. I have not written many short stories in letter form, and this one seemed to work well. I love Karin Hussein- a decent boy, only trying to make his way. Another deeply political story, I fear. I have nattered about research in my response to Jennifer’s question – if there is anything I can add, please do ask. Thanks again. Thanks so much for joining. I’ll be heading over and adding your post shortly. The Letters from Kilburn are easier to read than most of the other stories but the end is so tragic. 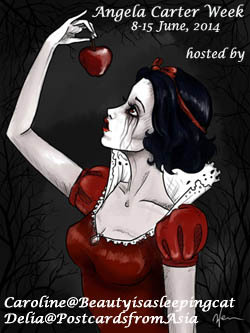 Most of the stories are dark, many are very dark, so, decidedly, no easy read at all. I’m glad you found it worthwhile nonetheless. I am late to the party, but wonderful review, Caroline. Though Vanessa Gebbie’s book seems to be slim it seems to pack a pretty punch. I didn’t know that torturing people by burning them alive is still practised in some parts of the world. That is really horrible. And to call it ‘necklacing’ – that is even more sad. I loved what you said about how two stories from two different eras which talk about the same topic increase the power of the book. So wonderful to know that. I am sorry that I couldn’t join the readalong. But hopefully I will be able to read this book later this year. Thanks for this brilliant review and for the inspiration. Thanks, Vishy. Yes, it does pack a punch. I must admit, I’d never heard of necklacing and was so shocked when I googled it. Such an atrocity. Is there never an end to what people do to other people? The two stories abour burning really reinforce each other, but so do other. I’m looking forward to your thoughts on this.